Q: What did the building that Portsmouth Book & Bar is currently in used to be? 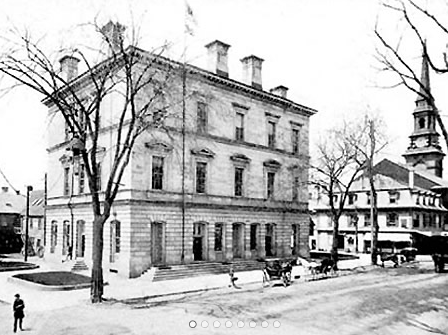 A: The Custom House, or federal building. Fun fact — the OLD(er) Custom House & Post Office (1817-1860) is on the corner of Daniel & Penhallow (currently Scallops/Ristorante Massimo). I never knew that ’til now, although it says “Custom House” right there on the building!